Lofton Security always goes above and beyond for their officers. I love Lofton and extremely blessed to be a member of the team! Lofton Security always wants the best for their employees. They give proper training and handle issues they come across at any point in time. We work as a team with Lofton. It has been a great experience. So many wonderful people and everyday is a new learning experience. They are always willing to help employees in any way possible. I had a great experience with Lofton Staffing. They were super helpful. Lofton Staffing looked out for my best interest. They anwered every question I had and responded in a timely manner. They were an excellent go-between with the company and myself. This is the second time Lofton has found me a great position. The first position I worked there for more than ten years. Thanks Lofton! I had a great experience with Lofton. They stepped up to go above and beyond their role when my event needed quick action to solve an unexpected problem. Carrie graduated from Texas A&M University in 1999 and is the Area Manager for the Houston market. She started with Lofton in September of 2016 and brings with her 17 years of staffing and recruiting industry experience. Prior to Lofton, Carrie was with Pro Staff for 12 years where she started in sales and then went into operations. 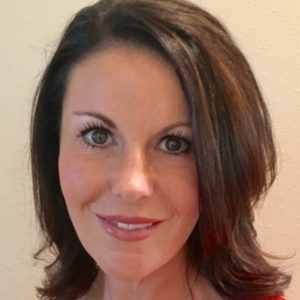 She was promoted into Management in 2003 and led multiple branches in the Houston market and ultimately finished her career with Pro Staff as a Group Managing Director over the Houston area on-sites. Carrie then went to Insperity Recruiting Services for 5 years where she was the Managing Director over a 50 person recruiting department that placed direct hire employees nationwide. Her passion is client management, strategic staffing planning and implementation and market leadership.